Superficial soft tissue lesions of the oral mucosa arc Usually benign and in niost instances lend themselves tu simple surgical removal using biopsy techniques (see Chapter 21), They include fibromas, pyogenic granulomas. ,’t’ same as those outlined previously and include the use , elliptic, wedge type of incisions during removal. In the of lesions that appear associated with the dentition I i.e., pyogenic granuloma), the associated tooth or teeth should be thoroughly curetted and polished to remove . plaque, calculus, or foreign material that may have played a role in the lesion’s development and that may cause a recurrence if not removed. 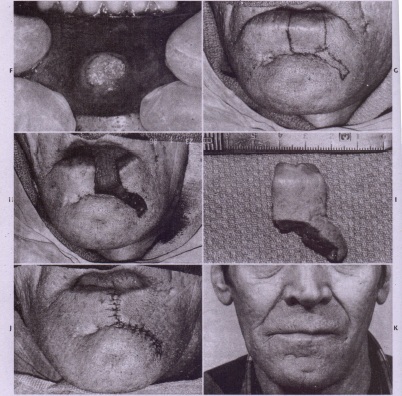 FIG 22-1 I Local excision of lip carcinoma. 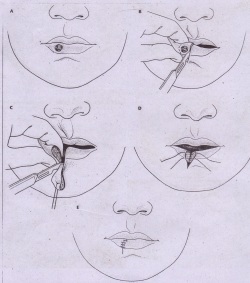 A to E, Full-thickness V excision of lip. 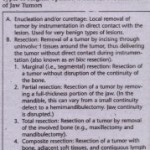 tumor, cont raindicates all immediate reconstruction of the mandible. Instead, a -pacc-mnintaimng device is placu at till time of resection, and a secondary recon-tnu ton h prortected weeks to months later. splints, internal fixation, or a combination of these modalities. 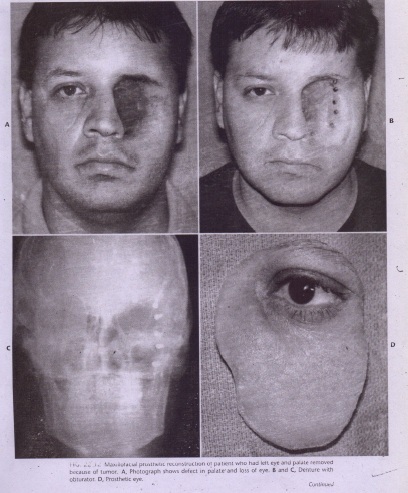 This technique prevents cicatricial and muscular eformation and displacement of the segments and simplifies secondary reconstructive efforts. 1. The entire surgical procedure is performed intraorally by first removing the. 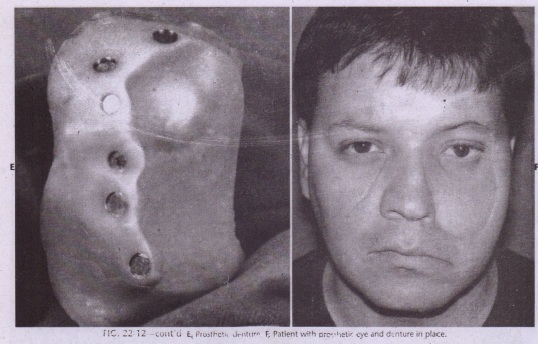 tumor and then grafting the defect. 2. 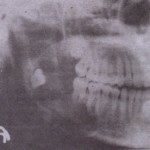 The tumor is removed by a combined intraoral and extraoral route. A watertight oral closure is obtained, which is followed Immediately by grafting the defect through the extraoral incision. 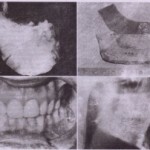 through an exrraoral inci ion, with care taken to avoid perforation of the oral soft tissues. This procedure is the only type of immediate reconstruction with which oral contamination can be avoided.